The 2015 NFL season will come down to this, what will be the golden Super Bowl (just in case you didn't get the message). 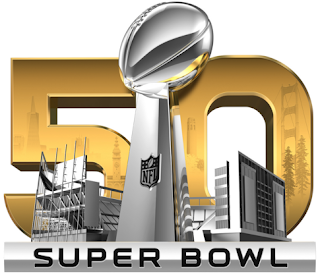 It will be the Denver Broncos and the Carolina Panthers this Sunday in Santa Clara for the Lombardi Trophy. Maybe that'll be in gold too. So in the end as the confetti falls, which team will be Super Bowl champions? Here are my exclusive predictions for Super Bowl L 50. Before we get to the greatness, check out accurate my predictions from back in September were. After all, when your predicted Super Bowl champion finishes 5-11 (as well as having the Colts as the one seed in the AFC with the Dolphins making the playoffs and the Rams winning a playoff game), you know that things have gone well. For the third straight year, the top seeds from each conference have been their respective conference's representative in the Super Bowl. It helped to give us an all-time classic of a game a year ago, as well as an all-time dud the year before which happened to feature the Broncos getting absolutely whipped by the Seahawks. And let's be frank, I have gotten the Broncos wrong every step of the way this postseason. In the Divisional Playoffs, I took the Steelers. In the AFC Championship Game, I took the Patriots. Of course, I also picked against the Panthers during that same timespan but that was only once so take that as you will. And I have taken just about every chance to rip Peyton Manning for his noodle arm and while he really hasn't played as well as some are making it out to be, he has been the quarterback of a team that has reached the Super Bowl. Plus, Denver may just have the best defense that we have seen in probably over a decade. They beat the hell out of Tom Brady in the AFC Championship and Wade Phillips deserves all the credit that a coach could get for what he has done with this unit. The Panthers are pretty darn good on defense in their own right but even they don't have that much on the Broncos defensively. But here is why I like the Panthers to take this game. First off even with their terrific defense, the Broncos have not exactly had it easy as they could have very well lose either of them so they're not exactly coming in hot. Second, I don't see how this Denver offense can find that much success considering that Josh Norman should be able to slow down either Demaryious Thomas or Emmanuel Sanders and a pretty good run defense should be able to keep C.J. Anderson in check. And third, I think that Cam Newton, the presumptive MVP, will continue to be able to make some big plays as he has been doing all season long. Let's be honest! The Pats' poor coaching decision in the 4th quarter NOT to kick a field-goal came back to haunt them. Had they kicked for 3 they wouldn't have needed to try for 2 at the end. On 2 occasions they chose to go for it on 4th down and the Broncos held out. So while the Broncos' D deserves its credit, the fact is Denver are lucky to be in Superbowl 50. The Broncos' D may well keep them in touch well into the second half but if Carolina doesn't make basic coaching errors and if Cam and his O play a half-decent game then Carolina will win Superbowl 50 by 10.